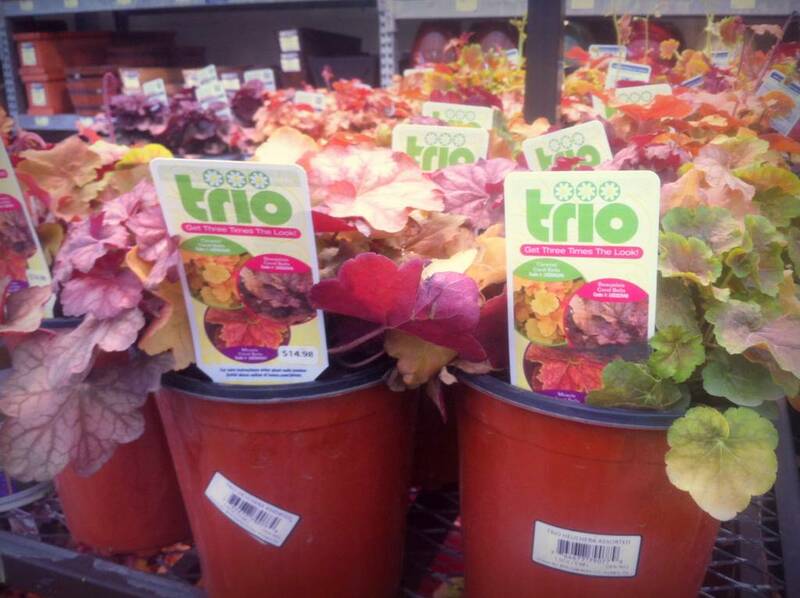 A trio of plants in a single pot! I think I'll go with the trio and separate them, what do you think? So I got three varieties for the price of one. Of course the plants are a little smaller, but that won't make much difference in a few months. After seeing a video online that shows how easy it is to propagate these from the woody stems, I gave it a try. It seems that all three cuttings have rooted and are growing. I love making new plants! 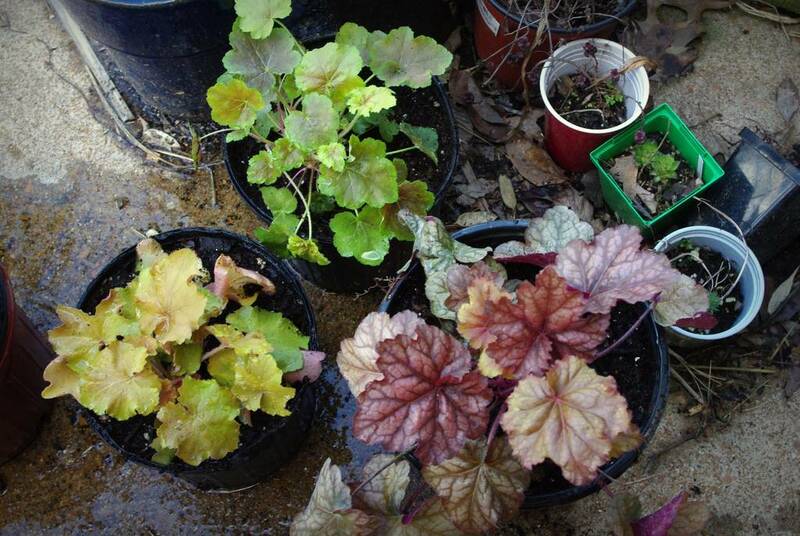 So my heuchera collection has increased by a few varieties. Exciting! I love this! 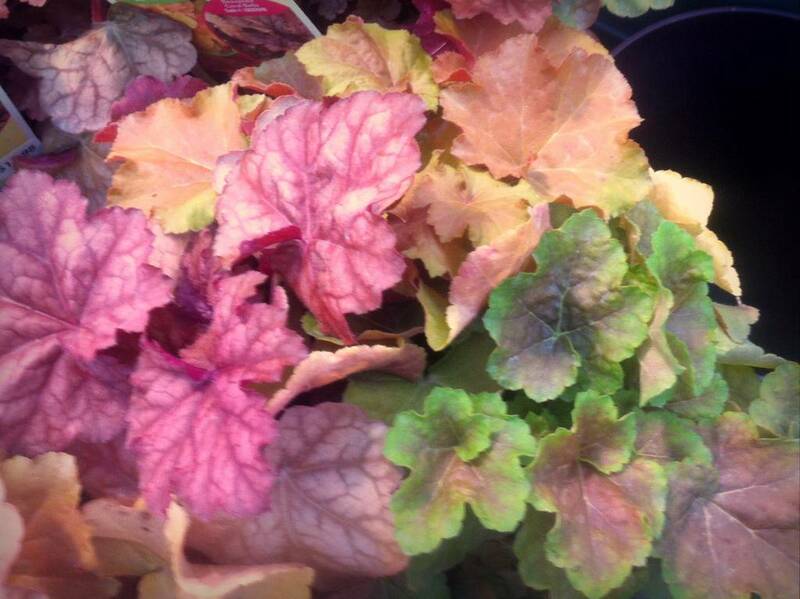 I have a vision for a heuchera bed in a section of my garden - these trio plants would be perfect. 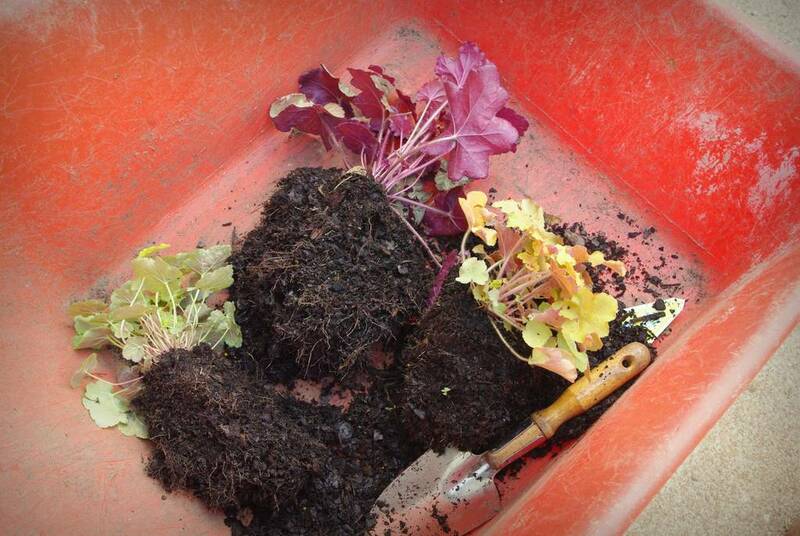 Like you, I will plant them separately to spread the joy. I have come to appreciate foliage in my garden - added color and interest without the added work that some blooming plants require. I watched the video - it looks so easy, I will be trying this for sure. 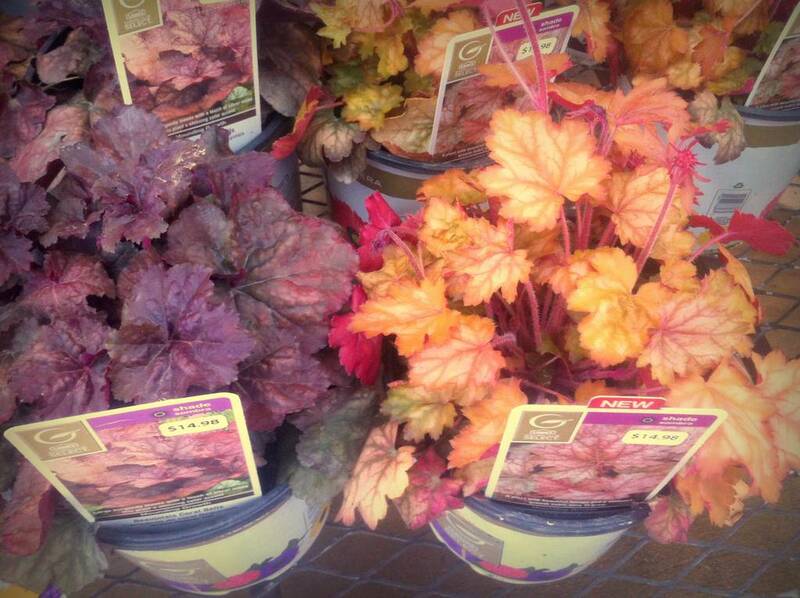 Heuchera is ridiculously expensive! 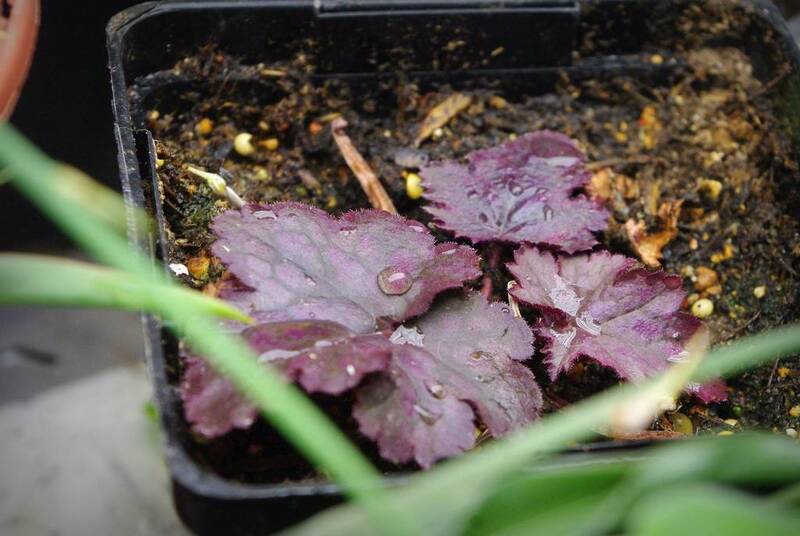 I have the regular coral bells (Heuchera sanguinea) and 'Caramel'. Most of the others fade in our summer heat, even in the shade, and end up looking greenish-gray. Not pleasant. I wish I could grow more of them. 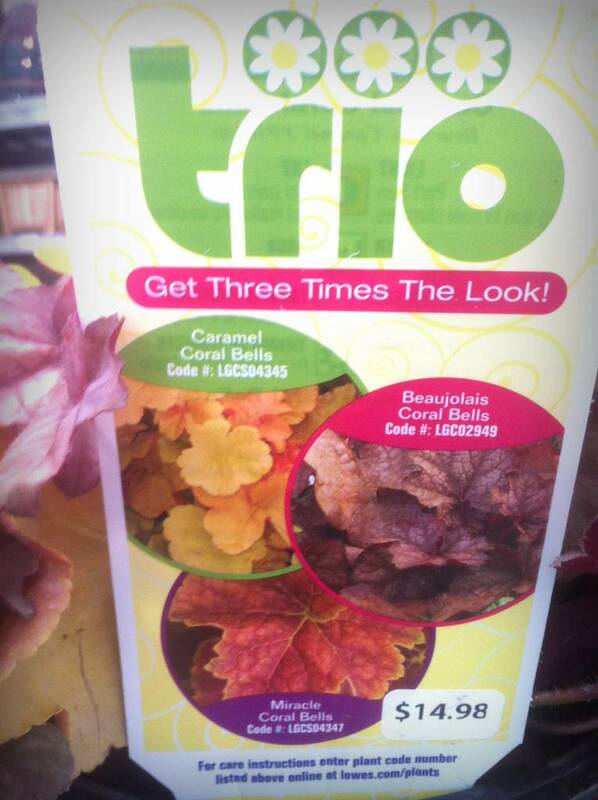 Three varieties for the price of one is a great find! 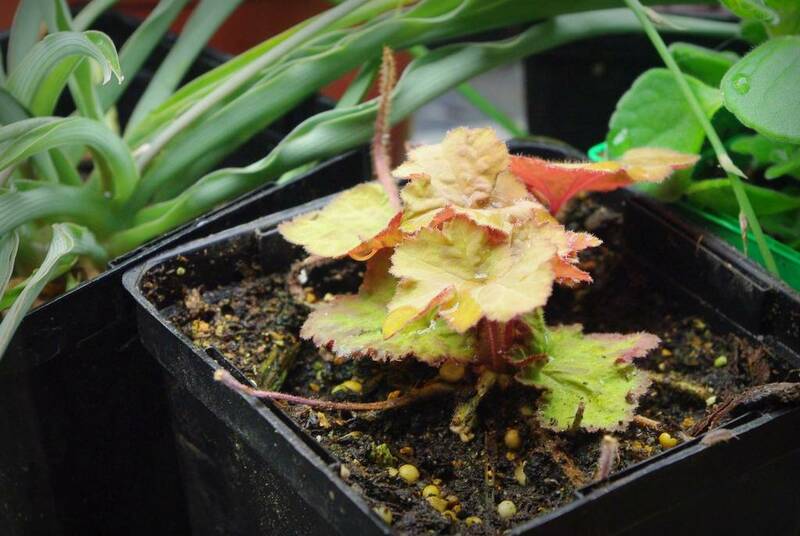 I have a couple of Heucheras that I need need take cuttings of and restart, since they're looking rather leggy and sad. The newer varieties like you have are gorgeous, but I miss some of the older ones that had pretty flowers too. Alan, this is so weird. I just made a comment on a facebook posting and added a link to my blog. 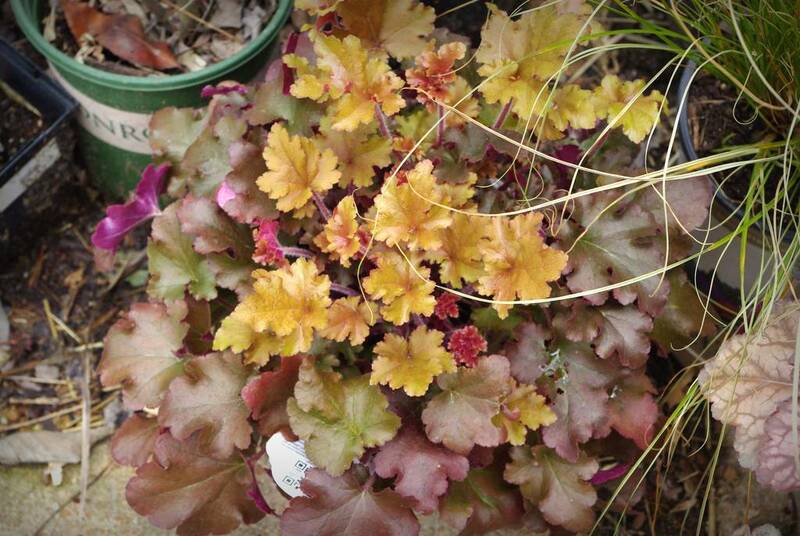 What shows up in the picture is your photo the heuchera. It doesn't link to your blog but to mine. Are you tech savy? Understand how that could be? Nice one. I would have also divided mine, but I really like the three together. I must look out for them here. They are very pretty!! How do they grow....? Bushy or viney? 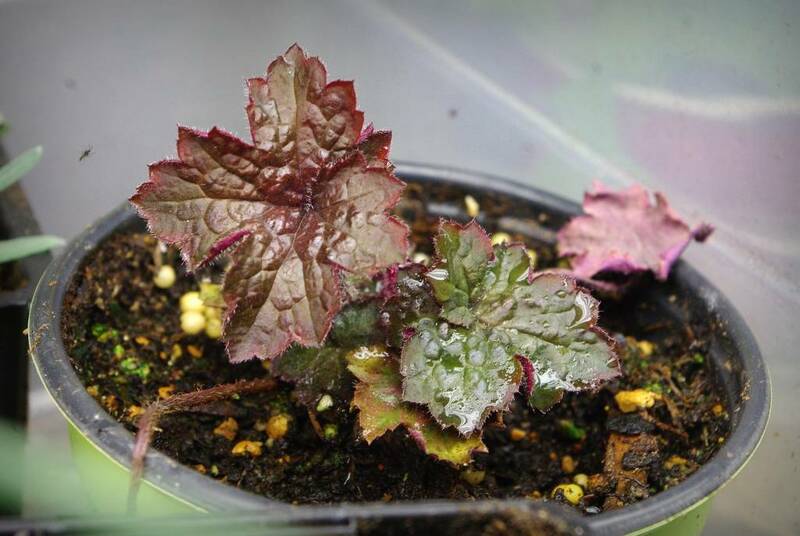 I'm trying Obsidian and Lime Rickey Heucheras that I bought on line. Never before bought plants online but hope it works out. 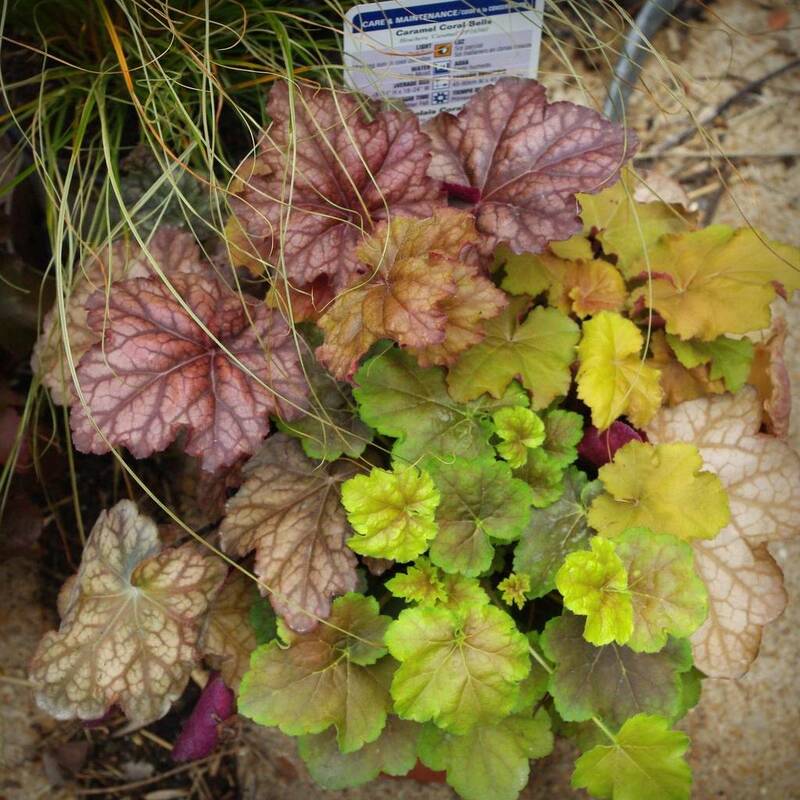 You inspired me to add more yummy colors of heuchera next to my 6 existing 3 yr old "Lemon Meringue" heucheras. THANK YOU!